Armys have been buzzing for weeks about BTS's appearance and nomination at the 2019 Grammy Awards. 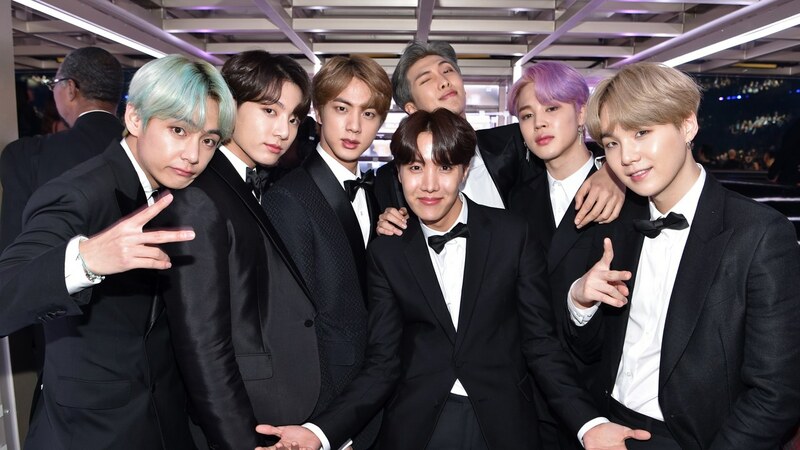 The hashtag #TearItUpBTS had started trending on Twitter hours before the red carpet even began. Among other records broken by BTS in the past several months, such as being the first K-Pop group to top the Billboard 200 chart back in May 2018, BTS also lead the way as the first K-Pop group to present at the Grammy's. Though fans were still eager to catch a glimpse of the seven boys on the red carpet. The members wore matching suits and adorned a spectrum of hair colors. BTS sat in the second and third rows during the show until it was their time to present the award for Best R&B Album. Upon presenting the award, leader of the group RM gave a small speech about what presenting at the Grammy's means to BTS. “Growing up in South Korea we always dreamed about standing on the Grammy Stage. Thank you to all our fans for making our dream come true, and we will be coming back,” RM said. The winner of the award was American singer-songwriter H.E.R, she bowed to the members of BTS before taking her award and thanked them afterwards in her celebratory Twitter and Instagram posts. After the show, the BTS members took to VLive to speak to fans about their exciting night. The VLive was titled “and the t ht g gg gram....” to poke fun at themselves for how out of sync they were when they attempted the iconic “….and the Grammy goes to,” line.